Nizhny Novgorod region of Russia is famous for lots of sights and cultural monuments. If you are here just passing through, take the opportunity to enjoy the beauty and history of the area. Sheremetev castle is a manor house of the provincial Marshal of the nobility, built in the early 19th century and over time fully landscaped. The castle is situated in the village of Yurino, Nizhny Novgorod region. From Nizhny Novgorod here are organized bus tours. Attraction is not only the estate of the Sheremetev, but also a magnificent Park with ancient buildings surrounding the castle and the Archangel Michael Cathedral, built in the mid-20th century. If you come in the Sheremetev castle on a long trip with an overnight stay, you can take the time to explore the area - here beautiful nature and have the opportunity to relax and go fishing. The village of Trinity - was founded in the 15th century and the 17th century after the Solovki uprising of runaway monks settled here and built a monastery. To this day, there are preserved two ancient wooden churches of interest to tourists: Trinity Church 1713 and the Church of saints Zosima and savvatiy of 1870, in which the original interior. Lake Svetloyar is located on the territory of the reserve Svetloyar. It features - a perfect oval, pure water, and never overgrown with slime. This is one of the largest lakes and the deepest lake in the Nizhny Novgorod region. 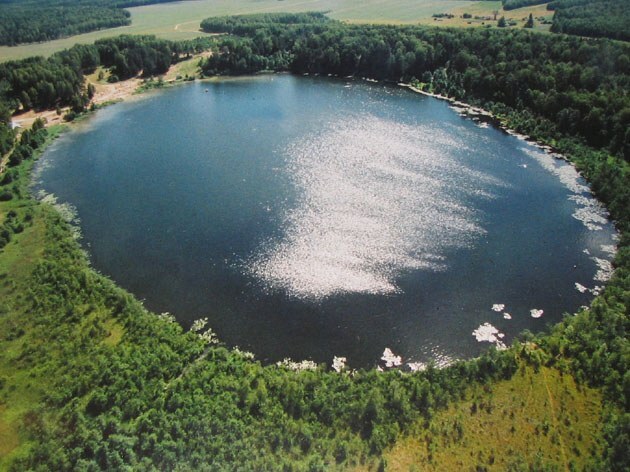 Depth of Svetloyar - 36 m. Scientists have not reached a definite conclusion about the origin of the lake, so around it goes a lot of legends. Near the lake is another cultural monument - the Church of the Kazan mother of God, near which lies the old stone with the imprint of the mother of God. A seed city is an hour drive from Nizhny Novgorod. In this small town has preserved many buildings of the 19th and early 20th centuries, so the city's architecture is quite unusual: chopped a two-storey wooden houses decorated with rich carvings, side by side with new buildings. In Semenov is interesting for tourists museums: historical art, which presents arts and crafts of the past two centuries (Khokhloma, wood carving, wooden sculpture, wooden toy), Museum of old belief. Are guided tours of the factory and Semyonov Khokhloma painting.